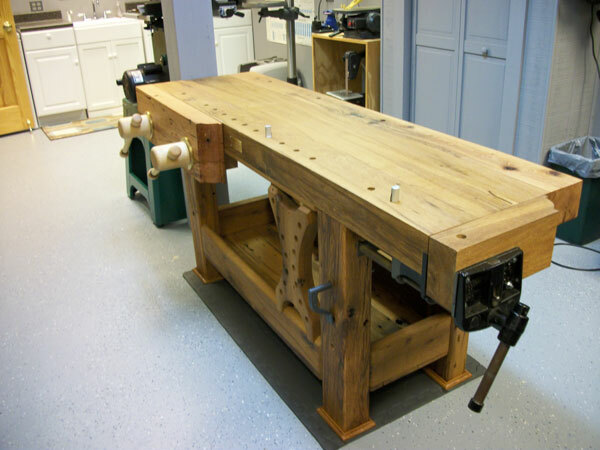 Adding our November 2012 Workbench of the Month from Carl N. of Strasburg, Virginia to our Lake Erie Toolworks Blog for ease of access and historical awareness. Gentlemen: I would like to enter my workbench in your “Workbench of the Month” contest. 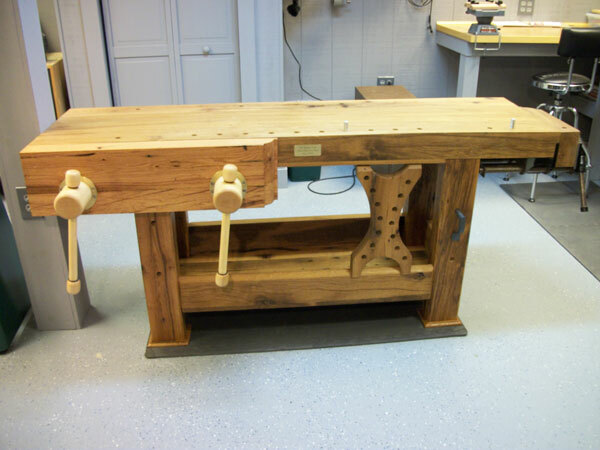 I have attached two pictures of the workbench and one of the source of wood the bench was constructed. I sized the workbench to fit my basement workshop, 72″ long, 20″ wide and 32″ high. The top is 3.75″ thick solid oak and finished with Danish Oil. In my opinion my bench has some unique aspects from your typical shop workbench. I designed the workbench from Christopher Schwarz’s book “The Workbench Design Book” I took the best of aspects of his 18th-Century and Holtzapffell workbenches plans, added a lower shelf and a deadman. The bench joinery was with mortise and tenons with drawboring wooden pegs. The only screws used in the bench were to attach the face and end vises. All the oak wood came from a 1920 era barn that my wife and I helped demolish several years ago. 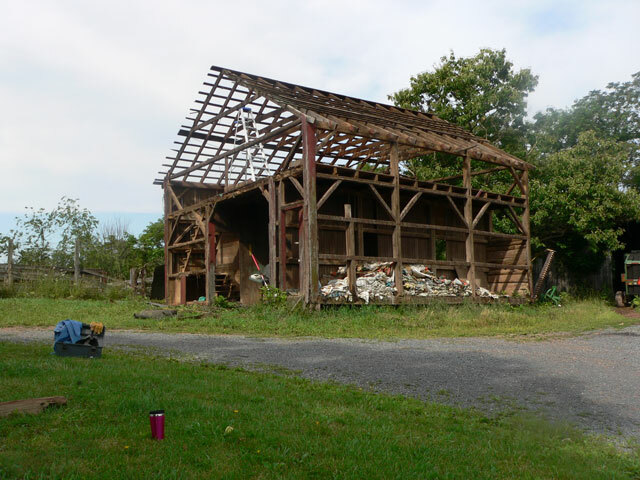 The oak wood came from the 6″x6″ structural beams of the barn and have to be over a 100 years old. It was a great sense of accomplishment to take the old barn beams and change them into a useful piece of equipment that should last for another 100 years. Your wooden screw kits are great,as well as the instructions that were provided on your website. Thanks for all your help.